Robots are paving the way to an easier life. They're being built to enhance our everyday lifestyles. New technology and new ideas are creating this competitive industry. 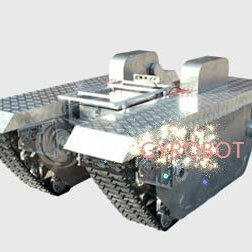 GYROBOT PTY LTD is a leading supplier of tracked robot chassis in Australia. 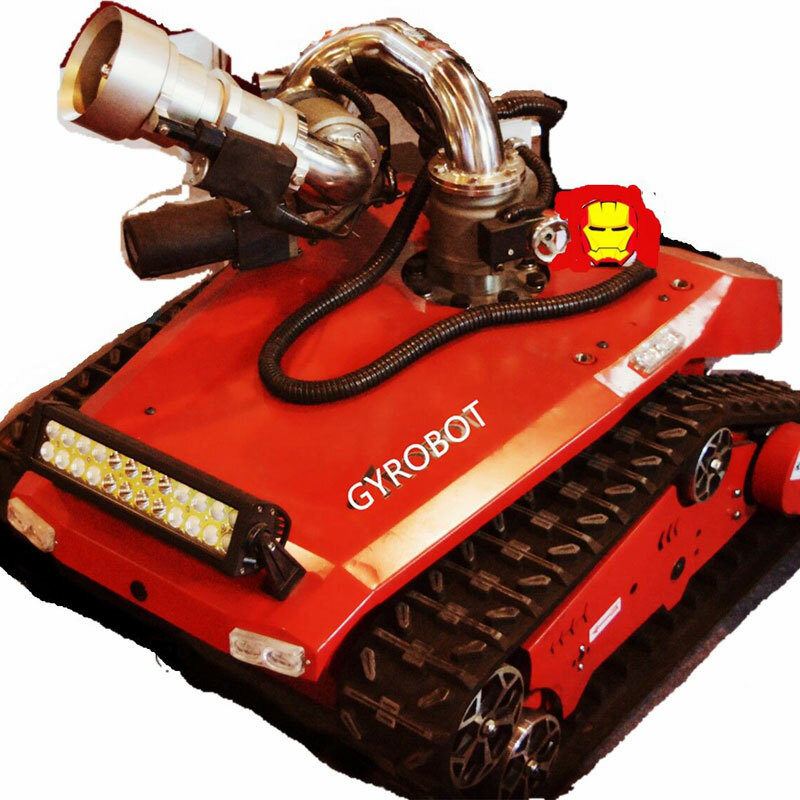 Founded in 2016, GYROBOT is committed to providing local customers with more powerful tracked robot chassis products. 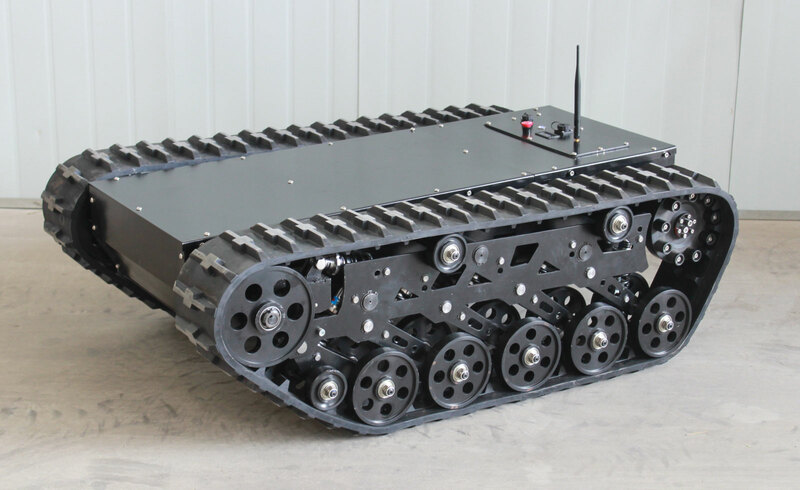 The company has a number of series of crawler robot chassis products, can be used for inspection and exploration, rescue EOD, special shooting, special transport and other special robot development. 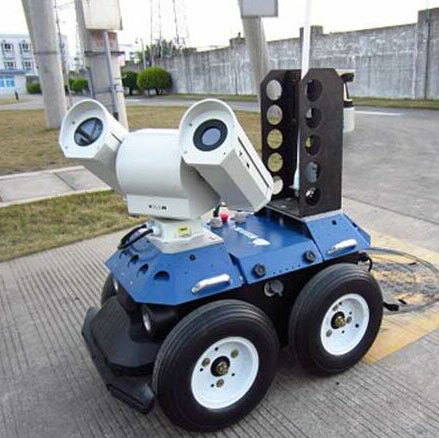 The company’s products has been applied in the fire control and security guard services, police field, inspection field by special photography and other special services by our qualified tracked robot chassis. Through a number of partners, we provide customized and turn-key solutions for the local customers’ special requirements. 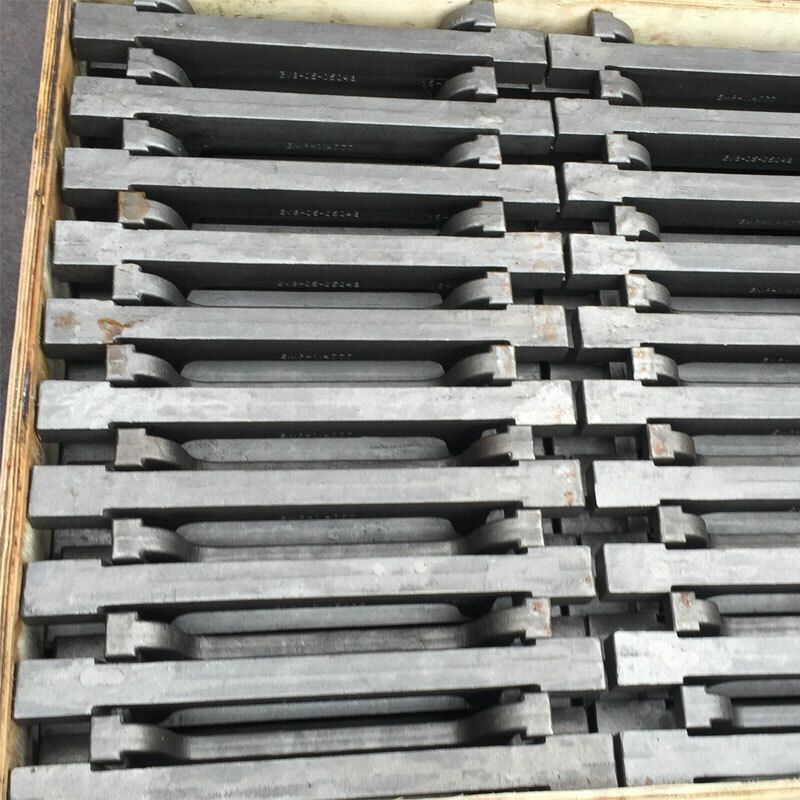 By in-depth cooperation with our partners, we can provide more cost-effective track chassis and innovative solutions and we provide more professional and thoughtful service, to do better products, but also to ensure the quality of the eternal after-sales service. Best among other chassis of the excellent level and striving to pursue higher passage and cross-country capacity, it can go any place where it is needed while loading equipment can weight up to 100-260KG. Equipped with Christie and Mathilda four-wheel balance suspension, the product can adapt itself to heavy load and vibration reduction. 6 vibration absorbers installed on the whole body with unique design of reducing vibration allows for terrain impact. 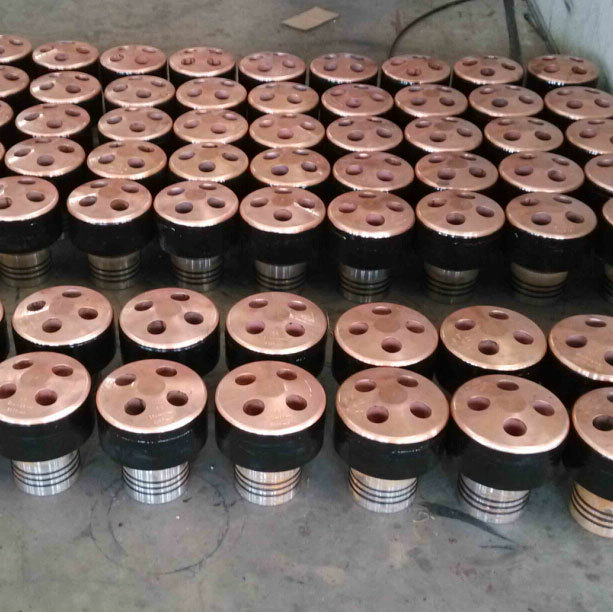 The product can be widely used for robot movement solutions in complex environment. 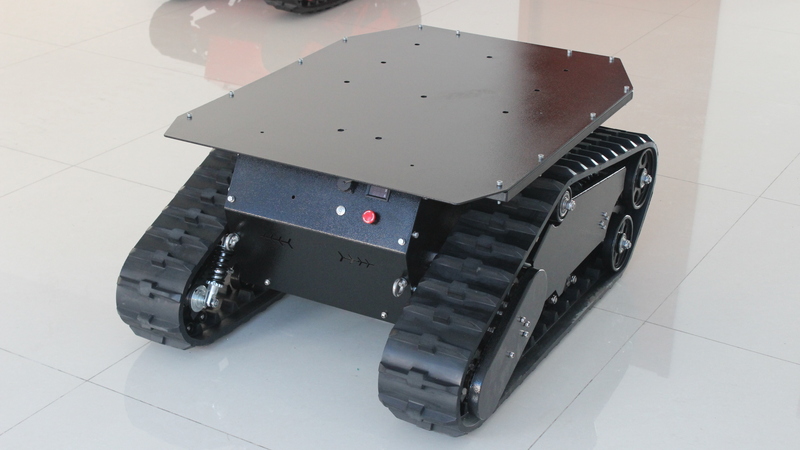 Featured large space for development and more stable travel, the product is a universal crawler robot chassis with independent Christie suspension, which can help reduce vibration at the time of heavy load. 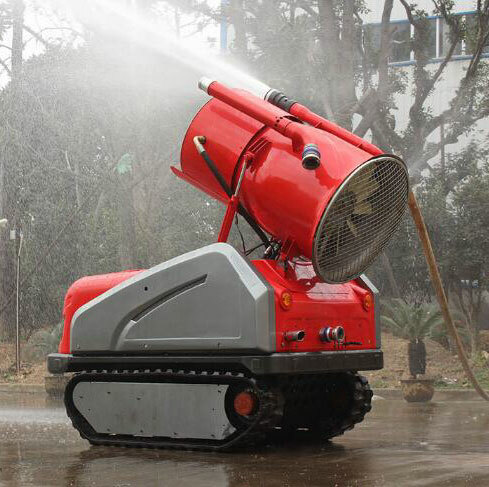 Its interior is equipped with high torque brushless DC gear motor, making the chassis strong and powerful to surmount any obstacles along its way with strong power. 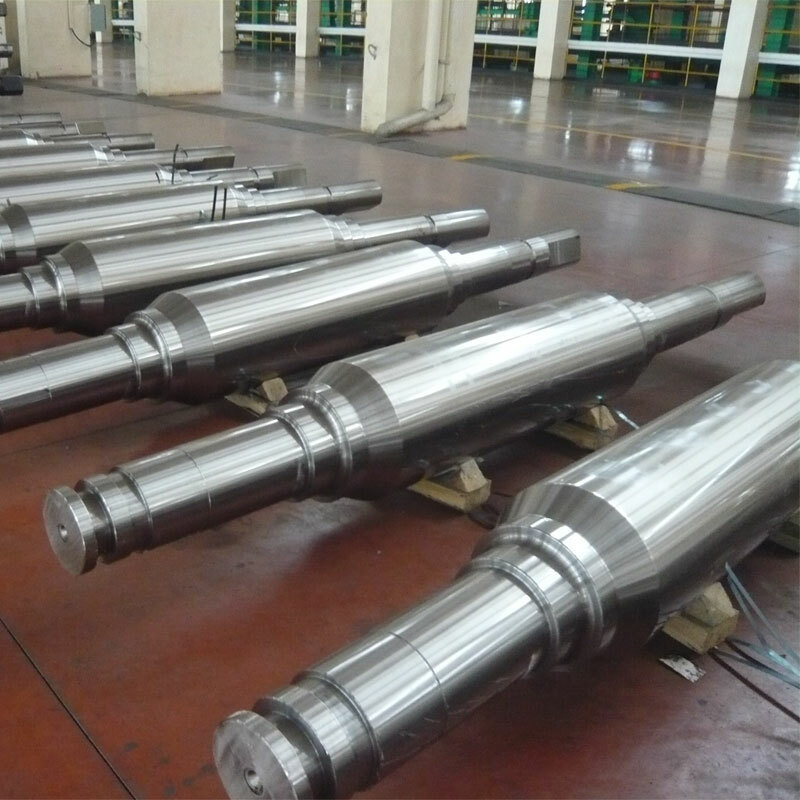 The accurate height of chassis, combine with motors of appropriate power, which gives it many advantages including low gravitational centre, outstanding obstacle-surmounting properties, vibration reduction for heavy load and stable operation. That’s why it can be applied to many complex robot movement solutions. 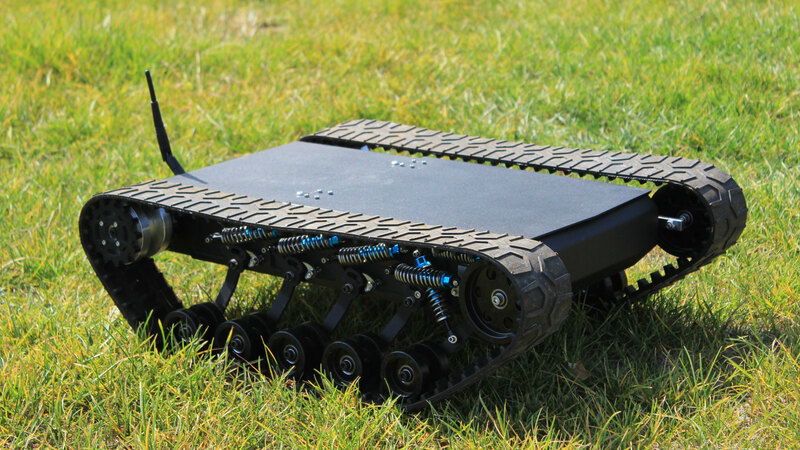 This Crawler Robot Chassis is born for steadiness, which can satisfy high requirements for cross-country and steady properties of mini-type investigation robots. 10 damping shock absorbers and unique design of interior and exterior patterns make the chassis more smooth and much more steady while keeping the grip. Furthermore, its vibration journey lists top among the same series of products, especially suitable for robots loading various cameras.